I predict that the next AMO shift (to a negative phase) will be around 2025 [though it could be a couple of years earlier than this]. 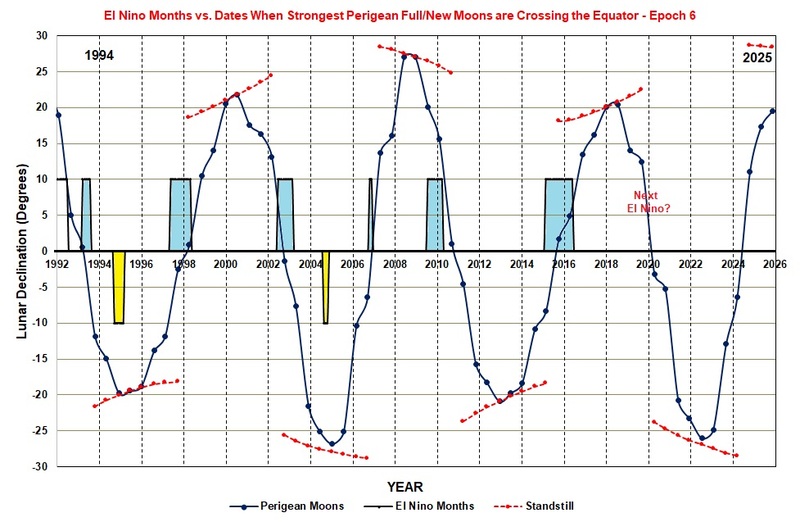 Do you think that these lunar tidal epoch boundaries have anything to do with shifts in the AMO? 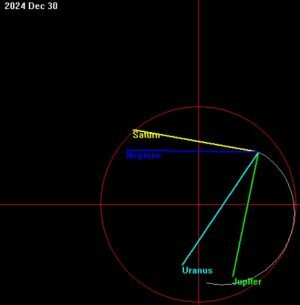 White line = solar ‘orbit’ (starts 1/1/2019 lower centre, ends 30/12/2024), red crosshairs show barycentre, red circle radius = 1 solar diameter.